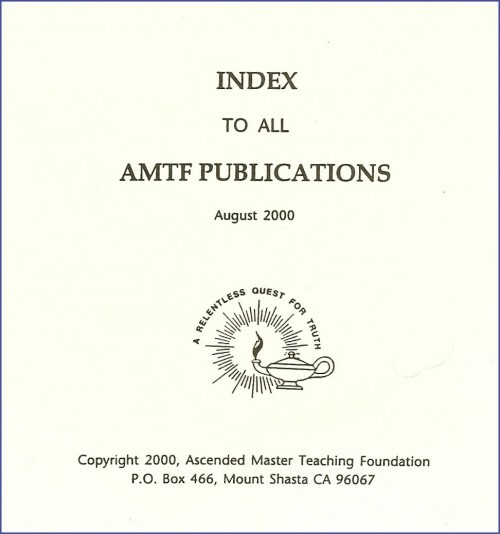 The 2nd edition of the AMTF publications index covers almost all books published by the AMTF. It is the result of about two thousand hours of research. 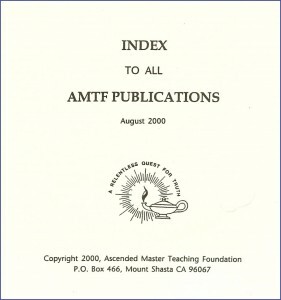 The index contains 439 keywords with about 8,000 references. Important! This book must be ordered separately and not combined in an order with other books. The first choice of reference should be entries that are outlined in caps. These entries contain a detailed discussion of a certain subject with a length of at least ½ page. Every entry was checked for accuracy, but it is possible that the student finds a few inaccuracies. If you should find any errors, please bring them to our attention so we may update the index in the future.